Over 200 million households in sub-Saharan Africa (SSA) depend on maize for food security and their well-being, yet maize yields in this region are very low compared to other parts of the world. Maize farmers face drought and other climate stresses, emerging pests and diseases, low soil fertility. The slow adoption of new stress tolerant varieties means farmers are unable to reach their yield potential. The Stress Tolerant Maize for Africa (STMA) project funded by the Bill & Melinda Gates Foundation and the United States Agency for International Development (USAID) aims to develop in a cost-effective way multiple stress tolerant varieties, and through partnerships with local public and private seed sector, make these improved seeds available at scale in SSA. The project is in its third year of implementation and it is implemented in partnership with seed companies (private and public) and extension services providers to foster equal participation of men and women in varietal trials. The 2019 STMA Annual Review and Planning Meeting will take place in Lusaka, Zambia from May 7 to May 9. During this event, the 2019 MAIZE Youth Innovators Awards will be presented. 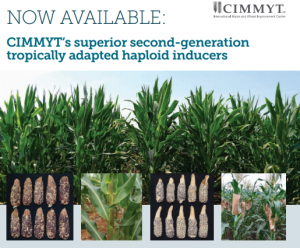 CIMMYT-developed, second-generation tropical haploid inducers were made available for partners with Maize Lethal Necrosis (MLN) tolerance and high oil content, resulting in 7-10% cost reduction for Double Haploid (DH) production compared to 1st generation. Haploid inducers are a specially developed maize genetic stock that are used to develop doubled haploid (DH) maize lines. DH maize lines are highly uniform, genetically pure and stable, making the maize breeding process more intuitive and efficient by simplifying logistics. To keep up with growing maize demand, breeders aim at optimizing annual yield gain under various stress conditions, like drought or low fertility soils. They identify the genetic merit of each individual plant, so they can select the best ones for breeding. To improve that process, CIMMYT researchers are looking at cost-effective ways to assess a larger number of maize plants and to collect more accurate data related to key plant characteristics. Plant phenotyping looks at the interaction between the genetic make-up of a plant with the environment, which produces certain characteristics or traits. 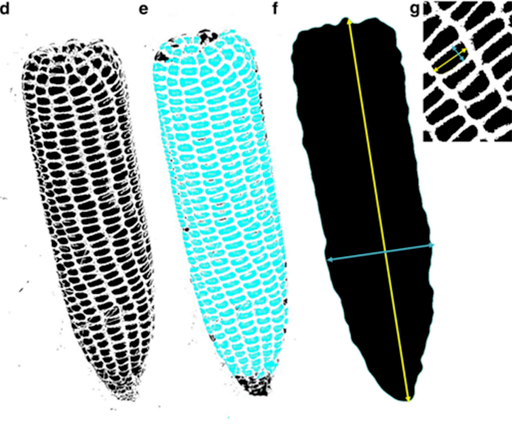 In maize, for example, this may manifest in different leaf angles or ear heights. In Ethiopia, a World Bank study found that female farm managers produce 23 percent less yield per hectare compared to their male counterparts. This is explained partly by unequal access to information on improved seed varieties and what best agricultural practices to use. The “Gender-Responsive Approaches for the Promotion of Improved Maize Seed in Africa” guidebook, developed by CIMMYT, is filling this gap. Designed for seed companies, extension workers and development organizations, it explains how best to package information about improved seed and farming technologies for men and women, with the goal of increasing adoption rates. Mary Munini, a smallholder farmer in Vyulya, in Kenya’s Machakos County, inspects her maize crop. 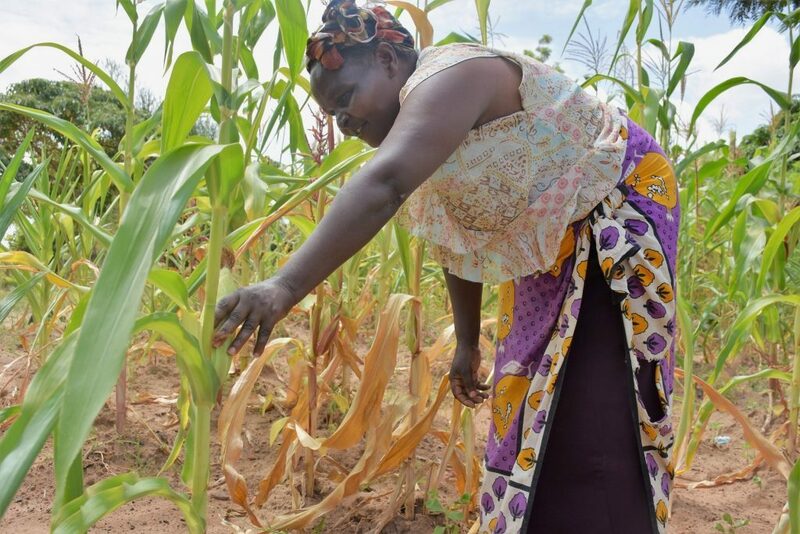 Like many other smallholder farmers spread across the water-stressed counties of Machakos, Makueni and Kitui in Kenya’s lower eastern region, Mary Munini is staring at a massive crop loss. Prolonged dry spells have for years threatened the food security and livelihoods of many rural families in the region who depend entirely on rain for their agricultural production. In a neighboring farm, the situation is different. The owner, Gitau Gichuru, planted the SAWA hybrid, an improved maize seed variety designed to withstand drought conditions. This variety was developed by CIMMYT scientists and promoted to Kenyan farmers by Dryland Seed, a local seed company. This initiative to improve maize farmers’ climate resilience in the region was possible thanks to the support of the Bill & Melinda Gates Foundation under the STMA project. With the right agronomic practices, the SAWA hybrid can return a yield advantage of up to 20 percent compared to other popular drought tolerant hybrids in the region. Agrodealers play a pivotal role in delivering the gains of the green revolution to millions of smallholders in Africa. So far, seed systems research has mainly focused on the factors influencing farmers’ adoption of or seed companies’ investment in new varieties. 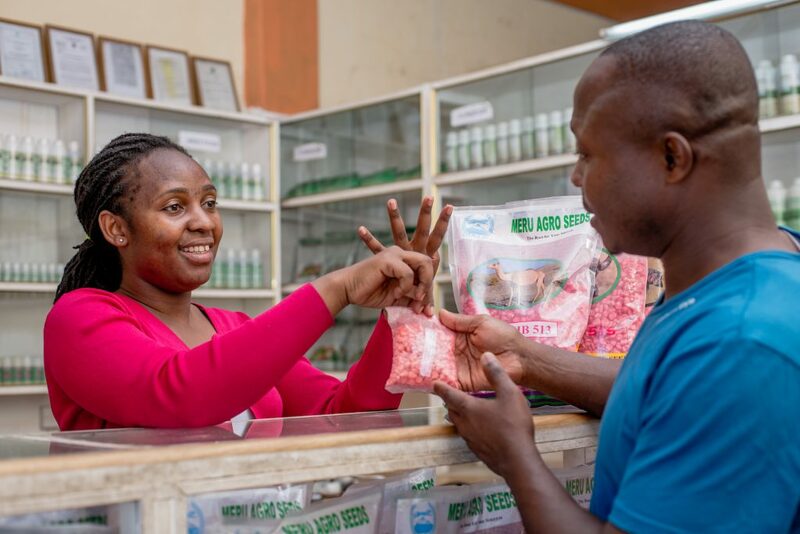 However, little is known about independent agrodealers, who play an important role in the “last mile” of seed systems, distributing improved maize seeds and fertilizers as well as giving agronomic advice. 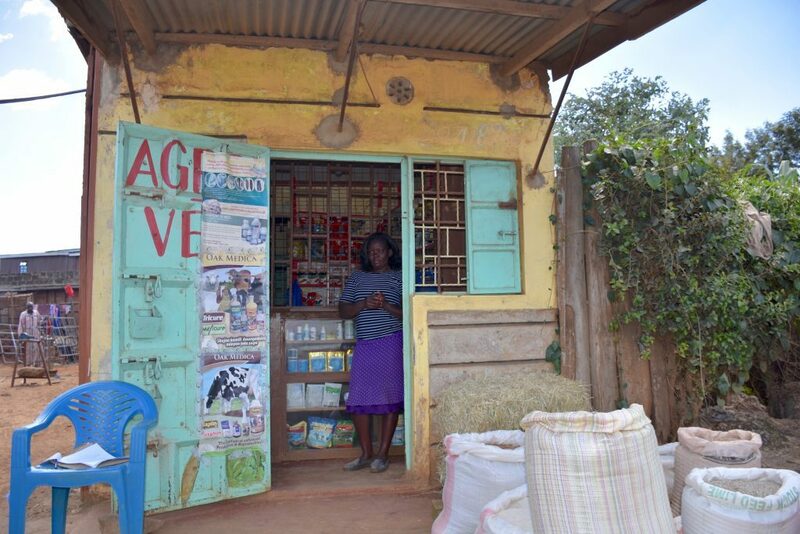 Under the STMA project, CIMMYT has launched a new research effort to better understand agrodealers in Kenya, with a specific focus on maize seed marketing. “We want to collect detailed quantitative and qualitative data about the way agrodealers outsource and choose their maize varieties, and how they market these seeds to farmers,” explained CIMMYT associate scientist Pieter Rutsaert, who leads the study. This research will help government agencies, NGOs and funders to design better interventions related to agrodealers, for greater and more sustainable impact. This information first appeared in the STMA Bulletin Jan-March 2019, available here.